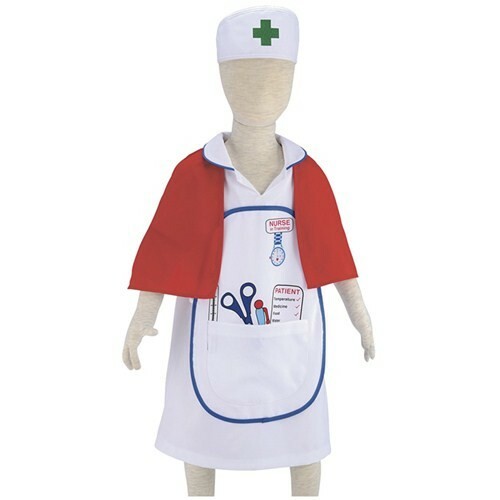 Nurse dressing up outfit age 3-6 years - spacekids - space toys, dressing up costumes, kids spacesuits, astronaut food, cool space stuff! A great costume for play or dressing up parties, this nurse's dress comes complete with apron and detachable cape. Comes with matching hat. Fits nurses up to 116cm tall.